No longer that yellowing unattractive countertop so popular in the 80's, Corian has evolved to become a material of beauty and substance. 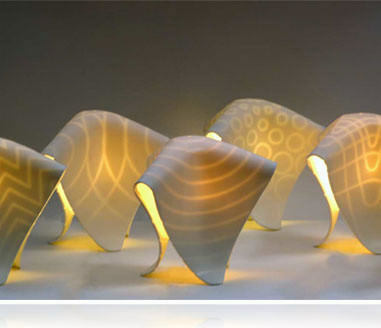 Malleable, sometimes colorful, and curvaceous this chemically clever material can transform itself for a myriad of uses. The real beauty: Corian is a minimal germ collector and miraculously easy to clean with a damp cloth and water. "Corian is an extremely versatile material. 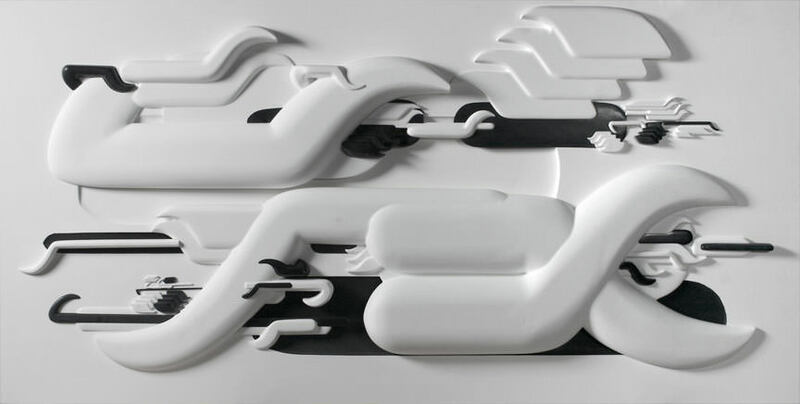 Anything from work surfaces such as countertops to wall cladding, furniture, and even jewelry are possible when using Corian as a design medium," said John Richard, Global Business Director for DuPont Surfaces, of its versatility. "It has the unique ability to transform any idea or inspiration into beautiful reality. "But what, exactly, is the chemical composite of Corian? Wendy Mushow, Marketing Communications Manager of DuPont calls it "a proprietary blend of acrylic resin, pigments and natural minerals." 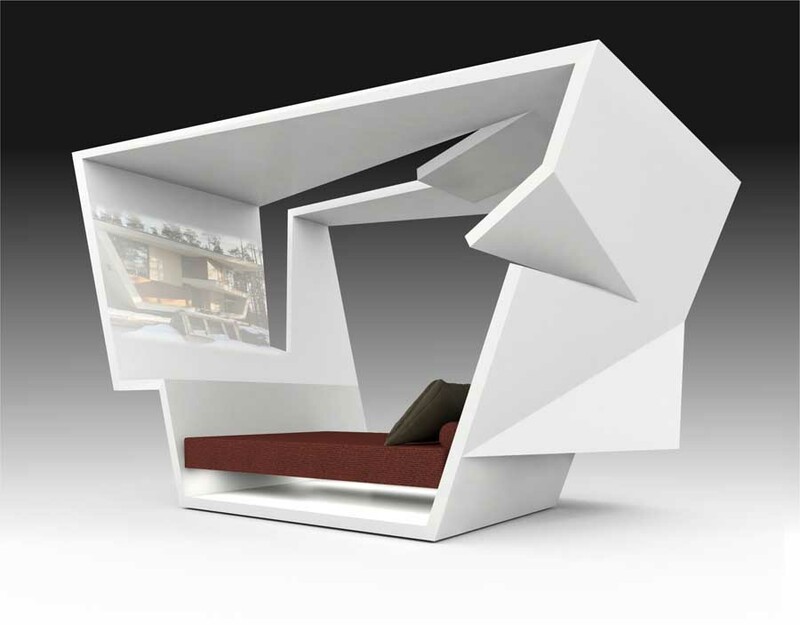 Below are some of those innovative ways in which 21st Century Corian is now utilized within the home. Furniture: Who would have thought that a material used for countertops would be flexible enough to be sculpted into all types of furniture? The talented crew at Associated Materials in Brooklyn sculpt Corian like marble molding it into a two-colored desk, sharp and sleek. 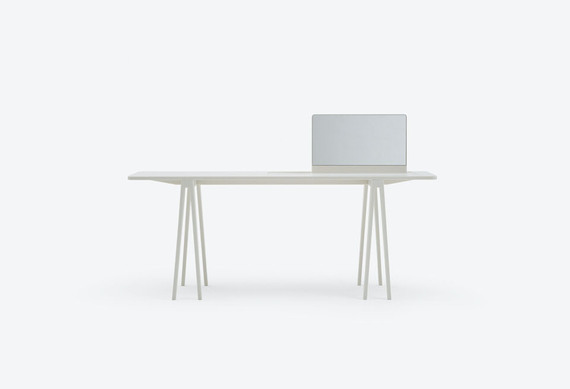 So easy to clean and so pristine to the look and feel, the piece is a tour de force. 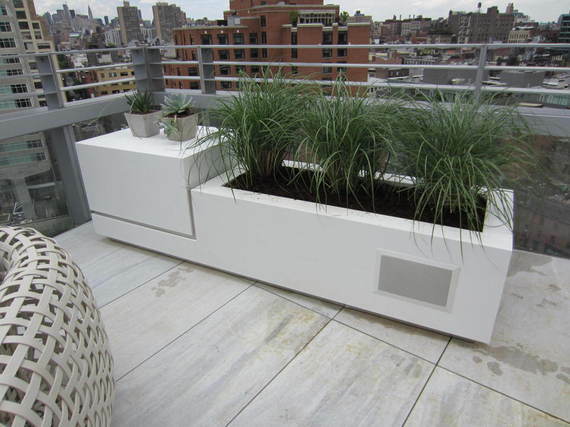 From chairs to stools to nightstands, Corian can physically be designed to virtually any piece of furniture. 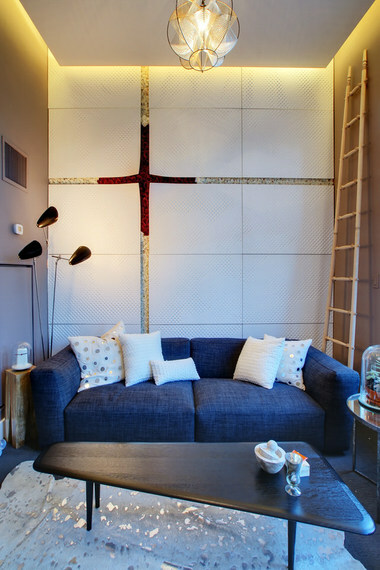 Interior Walls: Want a partition that never needs repainting, that's not made of sheetrock and that's attractive and easy to clean? 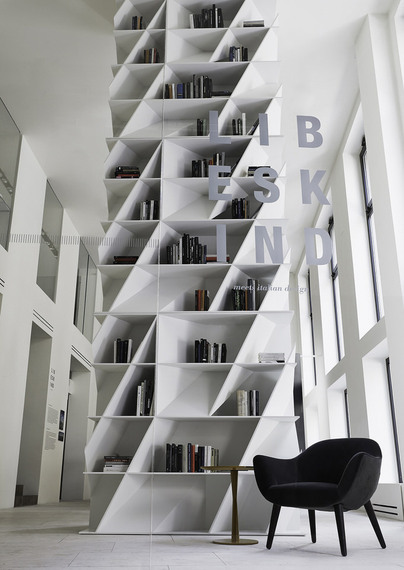 Take a look at the gorgeous and clever designs for wall partitions below. Stable and heavy enough to hold its own, a Corian wall serves as a sturdy and durable wall in which to divide spaces. 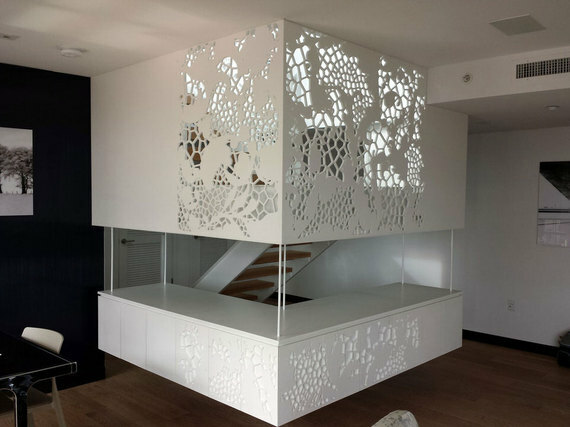 White-colored Corian creates a bright and cheerful room divider into which you can place drawers and other storage. Don't want a solid wall? No problem - create imaginative designs with differently sized apertures, allowing light to come through while maintaining a separation of space. 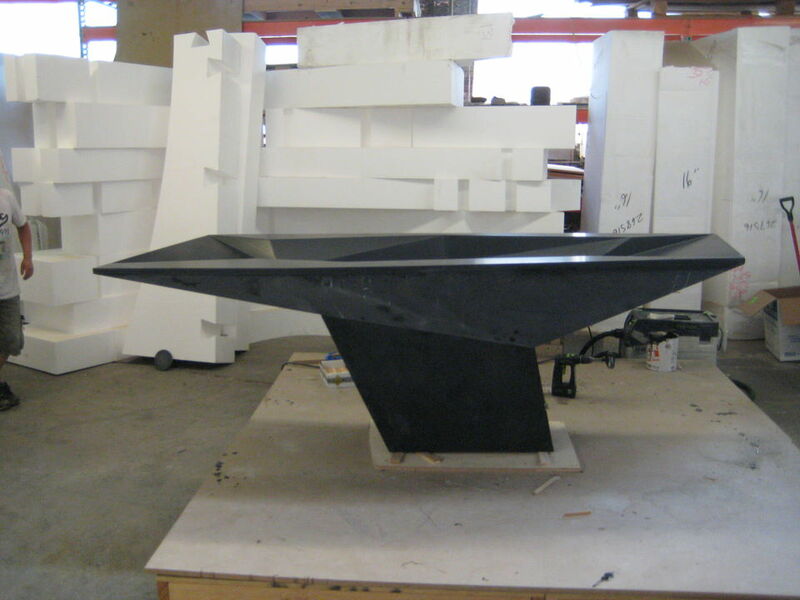 "I think Corian has evolved beyond a countertop material because it's highly adaptable as a physical material, and perhaps the single material that's most like 'surfaces' architects and designers create in the computer," explains Jeff Targas of Associated Fabrication, Inc. "Corian can be made seamless, and can take on a wide array of forms, from facets to organic shapes. We've used it to make both our most traditional and avant-garde projects. Beyond its forming capabilities, it's durable, repairable, and easily cleaned." 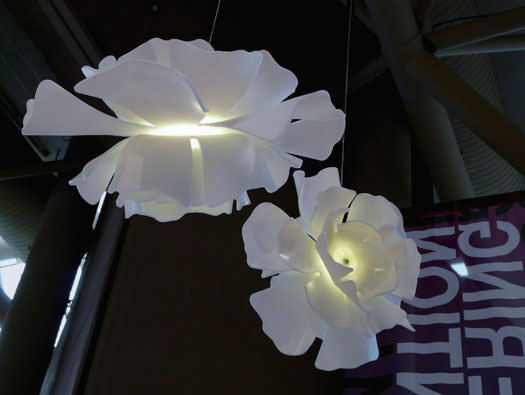 Lighting: As a material into which electricity can be placed, Corian is perfectly suited to the design of fixtures, whether sconces or floor lamps. 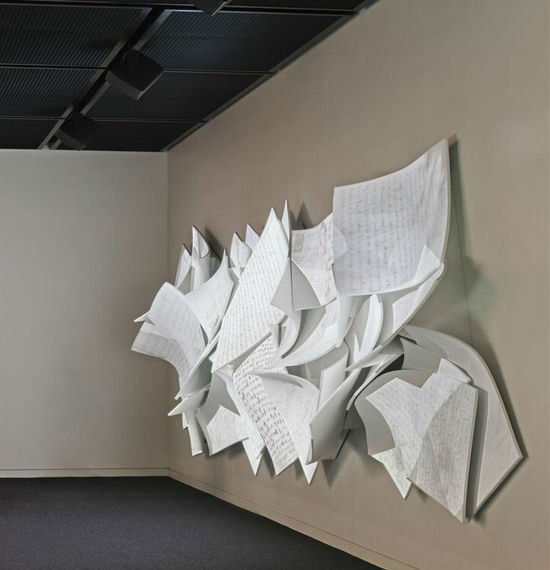 With natural openings in the material that allow the light to penetrate, it is ideal for the dissemination of light, creating a wonderful ambience with a host of different shadow effects. Kitchen: You're probably thinking that there's nothing new about Corian in kitchens - nearly everyone has had a countertop made of this material at some point. 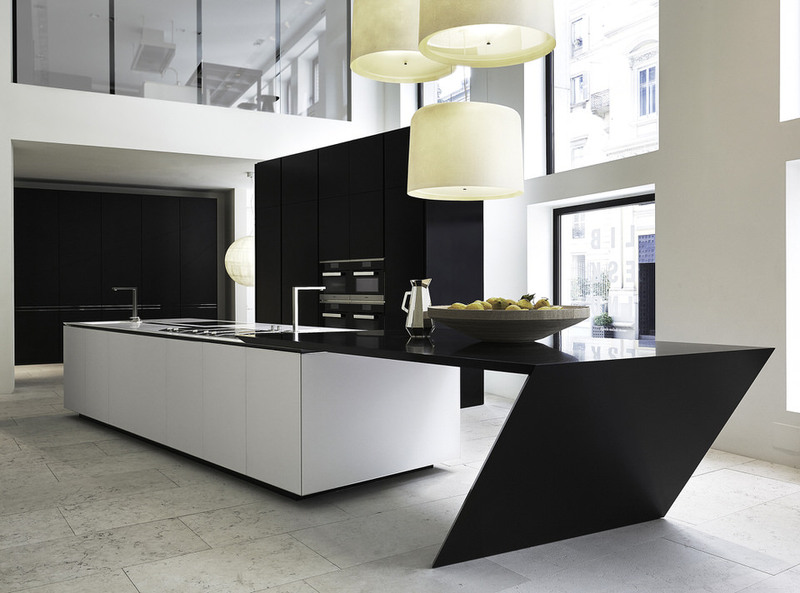 What's new here, though are not countertops, sinks and backsplashes made of this ingenious material but cabinets themselves! No more issues of difficult maintenance and dirty looking fingerprints on stainless steel or wood cabinets; hardly anything is visible on doors made of Corian. They are virtually maintenance free. Objects D'Art: Enter the world of accessories: coasters, hooks and vases. Almost anything can be constructed out of Corian! Charging Stations: Welcome to the 21st century and the world of charging areas. Corian's new station eliminates hazardous cords to trip over. Out of power? No problem! Place your iPhone on the table and, like magic, it starts charging. 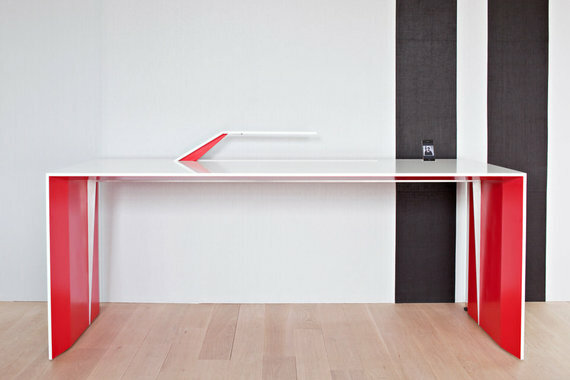 John Richards notes, "One of our newest innovations is the DuPont™ Corian® Charging Surface. 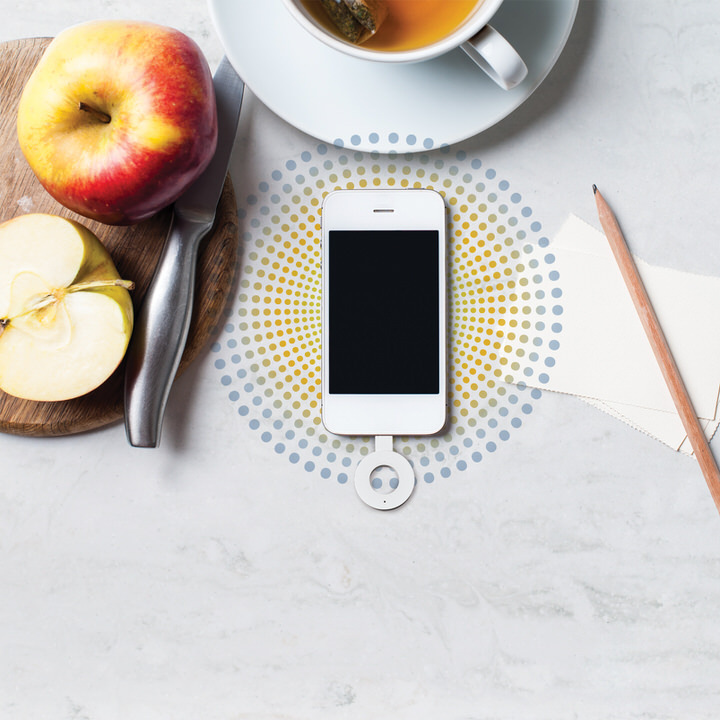 The Corian® Charging Surface allows users to charge their smart phone or tablet simply by placing it on a Corian® surface. We are seeing strong market pull for this novel technology with particular appeal in restaurants, hotels, and even hospitals looking to improve their customer experience." Magnetic induction safely and effectively transfers power from the charger to a smart device. The power transfer conveniently occurs without using conductors (i.e. "no wires"). Pretty cool! Works of Art: Bet you would have never thought that one could create works of art out of Corian. 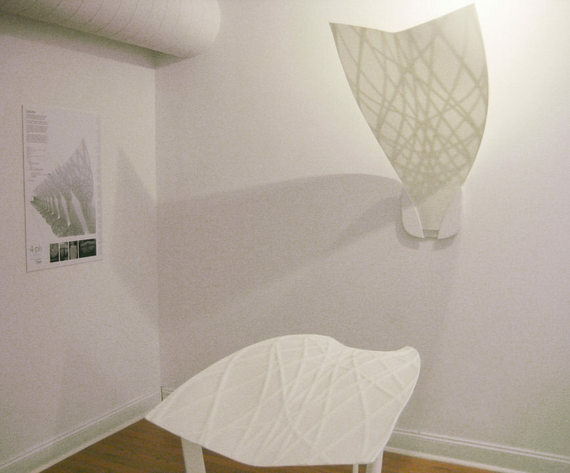 In the wall sculptures below, Associated Fabrication created some wonderful designs. And, for those who want personal embellishment...we have Corian jewelry. With it first commercialized inception almost 50 years ago, Corian® continues to evolve through technology and industry leading aesthetics. 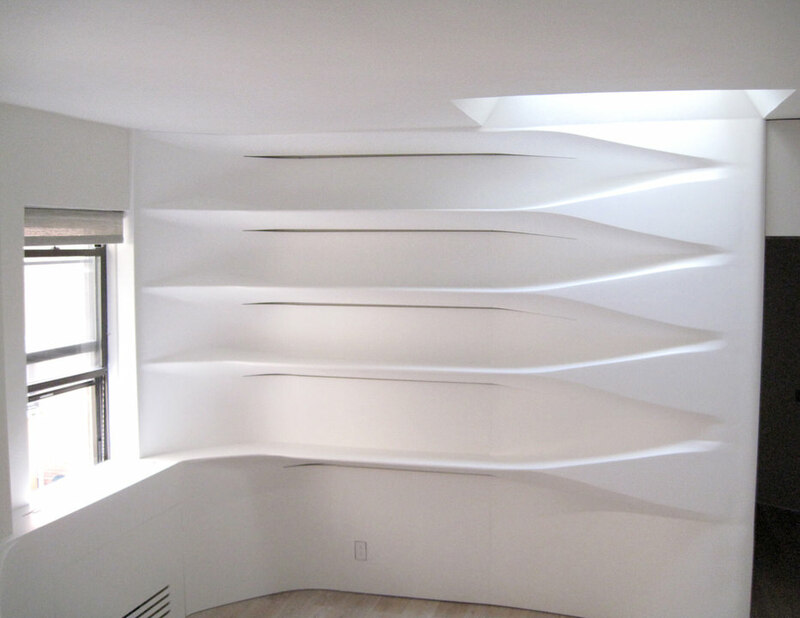 Corian® is the ultimate material for realizing your vision for any surface. For this reason it continues to be one of the materials most appreciated by designers, architects and home-owners today. As DuPont beautifully sums up, "The creative landscape has changed as design increasingly becomes a fusion of ideas, material, technology and the environment. Aesthetics and functionality harmonize with a powerful awareness of the body and how it interacts with this brave new world. Smooth transitions flow between art, architecture and design and each medium must be able to adapt, progress and evolve with time."